THIS SIDE OF LOVE : My Birthday Goal Has Finally Been Met! Thanks to Upcoming Pop/Contemporary Christian singer, Madalyn McHugh and my co-writers of the song, “This Side of Love” Greg Shields and Bobby Rennert, I can now say on my 57th birthday that I am a songwriter with my first song cut!! !Madalyn placed “This Side Of Love” (TSOL) on her debut CD, Stepping Stone, and it is Track #1! To hear a sample of the song and find a link to buy the song please go to her website at Madalyn McHugh ! Many thanks really need to go to Greg and Bobby though. 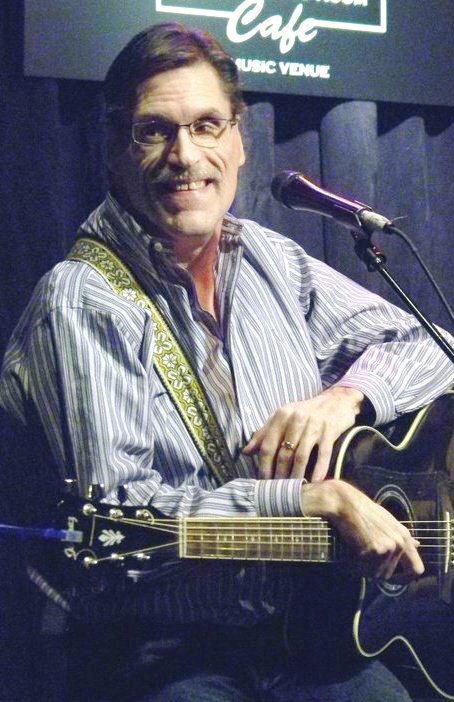 The song was written at a songwriters event here in Nashville in early March, 2009 called the Tunesmith Pro Event. Greg and Bobby roomed together for the event and had started the basic beginnings of the song by the time I got there . Even as rough as it was, I knew that it was something special. As with many co-writing sessions many ideas for lyrics are tossed in for consideration and the clue is to select the best lines and to throw out the ones that don’t work. I have not written very many Christian based songs and learned a lot those couple of days from Greg and Bobby who had written several songs in that genre. My best contribution probably was in asking questions relating to the lyrics and the storyline i.e. “Do we really want to say that in the 1st verse or move it to the bridge?” type of thing. Also at one point the song was pretty lengthy and we were able to pare it down to around 3:43 which was better for possible radio play. The event centered around 4 groups of 3 songwriters coming up with new songs that would be presented the final day and the winning song would be professionally demoed. I remember bringing home a voice recorder mp3 to play for my wife and she immediately said “That’s a hit!” We played the song for two of the event’s “mentors” and received the same reaction! So we were pretty excited about maybe winning the free demo session. The judges didin’t like it. Loooking back, it could be that the other songs were more in the Country genre and country songs have different rules than Contemp Christian or even Pop – which this song easily could be classified as. But we knew it was a good song so as soon as Greg recorded a fantastic demo, I started pitching the song through my publishing company, Arnybarn Music. Within a year the song had been chosen to be cut on a Ben Richards project!! We were so excited and I thought my annual goal was going to be met at age 55. The CD project was cancelled. Again in 2011, someone was interested in the song but postponed indefinitely his recording project. Then in January of this year, Eric Copeland of Creative Soul Records placed a listing in RowFax, a pitch sheet for artists looking for songs. I sent the song to Eric and within just a few days he responded that Madalyn wanted to record the song!! While excited, we decided not to tell anyone that it was definitely going to be cut based on the previous two cancellations. Madalyn held a CD Release concert in her hometown of Caro Michigan July 28th. My goal has finally been met! Pleae leave any thoughts or comments below! The ups and downs of songwriting – what to do? One of the most challenging aspects of this songwriting business occurs when NOTHING is going on with your music or writing. Your creativity may be down or sales have slacked off – heck even “listens” are at a drizzle on your Soundcloud or Reverbnation page….But having worked in the corporate world also, these down times happen in other businesses as well – just maybe in different ways. In accounting each month we had “Month-End-Close” where we would gather all the prior month’s numbers into informative reports that could be reviewed by upper management and even eventually the stockholders (if it was a public company) The rest of the month was a tine to not only get ready for the next M-E-C but it was a good time to get the workspace organized, do extra analysis work on the reports just produced or learn more about the upcoming change in the software the company was going to start using…. Right now for me at least, things are really slow. So what can I do? * I’ve got Arnybarn’s songs uploaded to the Music Libraries. I make sure to be on top of any placement opportunities but there are not too many right now for the kind of music we have. But that can be deceiving. A song might be getting placed right now but I won’t hear about it until the cue sheet is filed with BMI. * I need to finish my copyright project I started – I created a spreadsheet of all my songs that showed the BMI information and the copyright registration number. I was surprised to find over a dozen songs I thought I had gotten registered but still had not been. * I’ve been working on a new CD for the Fall but trying to figure out how to work with the limited budget I have for that. I need to get the tracks to the point I can take them to an engineer friend of mine so he can do the finishing mastering on them. * Oh here’s another project. I am working on eliminating having full versions of my songs on the web and replacing them with clips. But it is a tedious time consuming process. I discovered all of my songs (and probably your songs too) have been taken from places I’ve posted and put on other websites to be downloaded for free. They are mostly foreign websites but they are there! My videos too. The websites have a disclaimer that says something like “If you are not legally supposed to download these songs – please do not do so” – like that is going to stop someone? There are plenty of things I can do when the creative side and business side are not demanding my time and energies! So, today I cleaned up the office! Please leave a comment and let me know what you do to fill those down tiimes in your songwriting! Thanks! Getting a song cut..How much to give up? As a music publisher and songwriter I am constantly pitching my songs to be considered for music artists’ CD recording projects. To do this requires subscribing to one or more of the industry “Pitch Sheets” that list current projects that are looking for songs. The listing gives who is looking, style/genre, when the project ends, contact information, pitch preference, etc. Recently there has been a listing of a record label “on Music Row” that is looking for songs for an upcoming but as of yet unknown artist. The listing states that to receive cut preference, the submitter needs to attach the music tracks and that publishing needs to be available – meaning you assign the Publishing shares to this Record Label! Now, assigning publishing is not so unusual if the artist is say Alan Jackson or Martina McBride, etc. but for an as yet unknown, upcoming artist. I’ve not yet run across this. But for me, asking to freely attach the master music tracks to me is a bit much! And if I do THEN my song will be given preference to get cut! I own the master instrument tracks to most of my professionally recorded songs and offer those tracks to singers/performers for a license fee that is reasonable and around the going rate. Those tracks cost quite a bit of money and there is no way I feel I should attach those tracks to my email submission for free, without even knowing if the song will ultimately be cut or even considered! So, I ask my readers here, am I being unreasonable in my feelings on this? Is this not unusual in this industry? I have no beef against this label – they have they right to ask for whatever they want – but this is also a learning moment I believe for newbie songwriters and publishers. So please put in your two cents worth on the subject or offer up any industry knowledge you have that might enlighten me and the rest of us! Thanks in advance! I am looking forward to seeing your ideas and thoughts! !